The saying goes that necessity is the mother of invention, but sometimes it’s pure irritation that gives birth to something new and useful. 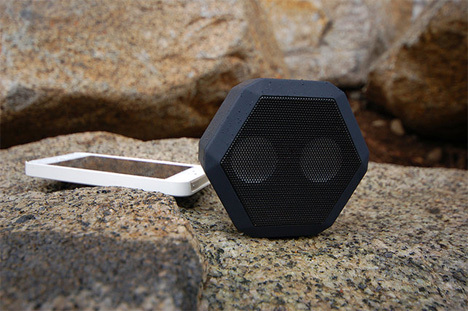 Such was the case when Chris McKleroy was mountain biking one day, using a portable speaker linked to his phone to listen to music. His phone rang and he couldn’t reach into his pocket to either answer or ignore the call, so he had to listen to the ringtone until it stopped and his music came back on. 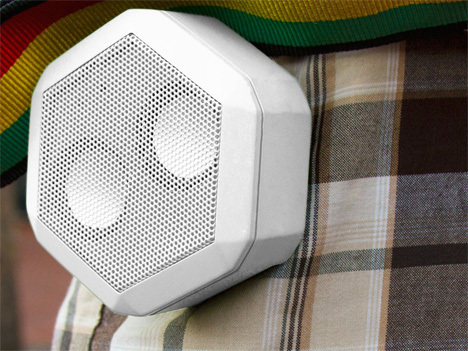 It wasn’t an emergency or even a major event in his life, but it was annoying and it inspired him to design a different kind of portable speaker. 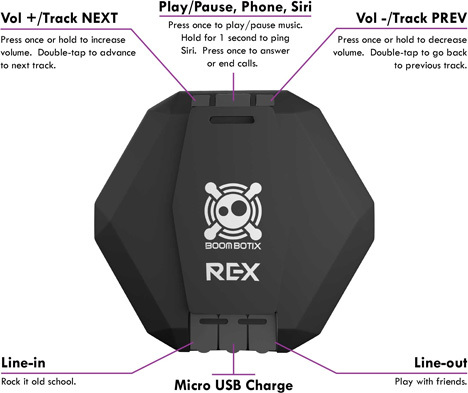 The Rex from Boombotix is a hexagonal speaker that features Bluetooth connectivity, Siri integration and a noise-canceling microphone, making it easy for someone who is in motion to control their iPhone (or iPod, or tablet, or laptop) without having to actually take it out. Changing tracks or answer, end or deny calls while you’re on the move only requires the push of a couple of buttons on the speaker itself, so your electronic gadget can stay safely put away. See more in Audio & TV or under Gadgets. May, 2013.